It was a chilly winter in the northern woods, but Ruthie did not mind. 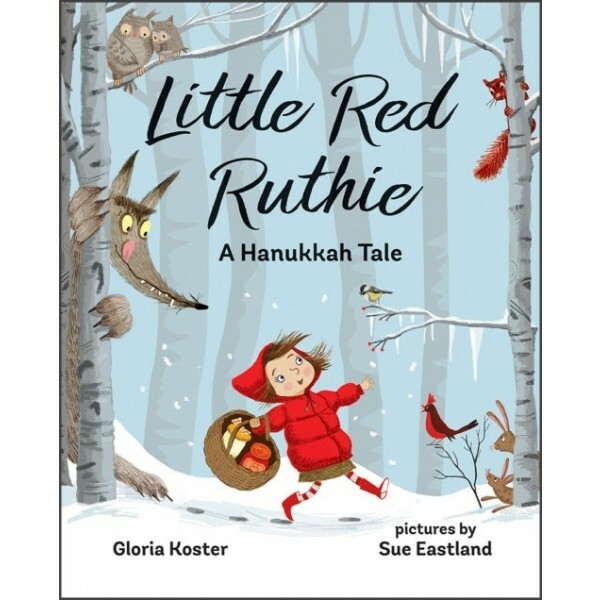 Dressed in her favorite puffy red coat, she was going to spend Hanukkah with her grandmother, who lived on the other side of the forest. Ruthie was bringing sour cream and applesauce to go along with the yummy latkes. She carefully packed her basket and kissed her mother good-bye. Snow began to fall. Soon Ruthie was lost in a thicket, and she was not alone. Someone was hiding behind the tree, and when he jumped out, Ruthie found herself face to face with a wolf. 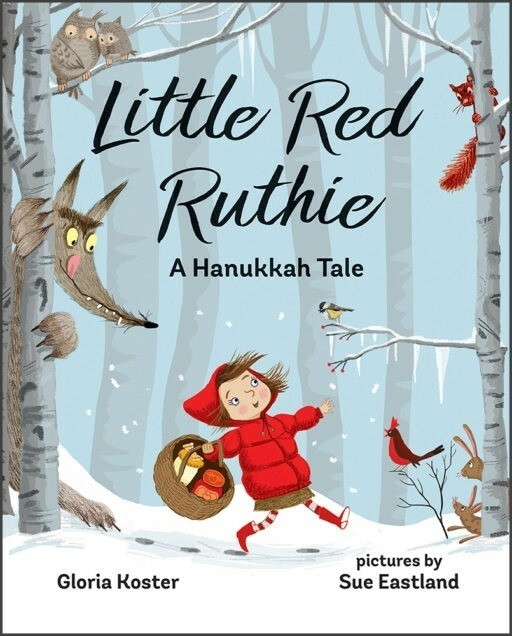 Ruthie will have to convince the wolf that eating latkes will be tastier than eating her!